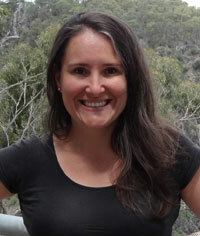 My research focuses on the ecology of ecosystem services, which are the benefits people get from nature. I am interested in how insect species create functional links between habitats and people, and how land use change and agricultural management influences biodiversity and ecosystem processes at local and landscape scales. 2014 Doctor of Philosophy (Ecology), Charles Sturt University Albury NSW. Title: Wild pollinator communities of native woodlands and commercial almond plantations in a semi-arid Australian landscape: Implications for conservation of insects and ecosystem services. 2008 Bachelor of Environmental Science (Ecology) Hons, University of Queensland Brisbane Qld. 2001 Bachelor of Arts (English, Communications), University of Queensland Brisbane Qld. Saunders ME, Luck GW (2016) Limitations of the ecosystem services versus disservices dichotomy. Conservation Biology 30:1363-1365. Saunders ME, Luck GW (2016) Combining costs and benefits of animal activities to assess net yield outcomes in apple orchards. PLoS One 11(7): e0158618. Peisley RK, Saunders ME, Luck GW (2016) Cost-benefit trade-offs of bird activity in apple orchards. PeerJ DOI 10.7717/peerj.2179. Smith TJ, Saunders ME (2016) Honey bees: the queens of mass media, despite minority rule among insect pollinators. Insect Conservation & Diversity DOI: 10.1111/icad.12178. Saunders ME, Peisley RK, Rader R, Luck GW (2016) Pollinators, predators and pests: ecological tradeoffs in agroecosystems. AMBIO 45:4-14. Saunders ME (2016) Resource connectivity for beneficial insects in landscapes dominated by monoculture tree crop plantations. International Journal of Agricultural Sustainability 14:82-99. Saunders ME (2015) Stone structures as potential aggregation sites for coccinellids in managed landscapes. The Victorian Naturalist, 132:86-88. Saunders ME, Luck GW, Gurr GM (2015) Keystone resources available to wild pollinators in a winter-flowering tree crop plantation. Agricultural and Forest Entomology 17:90-101. Saunders ME, Luck GW (2014) Spatial and temporal variation in pollinator community structure relative to a woodland-almond plantation edge. Agricultural and Forest Entomology 16:369-381. Saunders ME, Luck GW, Mayfield MM (2013) Almond orchards with living ground cover host more wild insect pollinators. Journal of Insect Conservation, 17:1011-1025. Saunders ME, Luck GW (2013) Pan trap catches of pollinator insects vary with habitat. Australian Journal of Entomology, 52:106-113. Cunningham S, Saunders ME, Rader R (2016) Chapter 3: Agricultural Beescapes, in AgGuide: Australian Native Bees, NSW Department of Primary Industries.